When Are New Chairs Like Old Disco Songs? Hello Monday! It's good to see you. The other day I was driving and one of the best songs ever came on the radio, Brick House by the Commodores. Do you know that one? Why sure you do unless you've been living under a rock. I happen to be just the right age that I have Friday night memories of doing the bump to Brick House or KC and the Sunshine Band's Shake Your Booty. Do you? If you don't remember, let me assure you it's nothing naughty. The Bump was a dance we did back then. When Brick House came on the radio while I was driving the other day, I had to turn the music up and dance. It's such a good feeling when you are driving alone and your song comes on and you can wiggle in the seat with sweet abandon. All is right with the world at those moments and nobody can see you! Those people in the other cars...they can't see you dancing. I promise. How does this relate to chairs? Well a few weeks ago I found the chairs for our kitchen table that I've been wishing for. They are similar to a photo that I tore out of a magazine years ago and I've never forgotten them. I was nervous so first I ordered two chairs with the thought that they would just go on the ends. But then the chairs arrived and all was right with the world! Cue the songs and the dance moves! The chairs add texture to the room that was much needed and they are larger than our previous chairs so they look better in the space. We are keeping this kitchen table that we've had since about 2001 (even though larger would work) because this is the spot where family dinners happened and my little boys did their homework. Their dents and handwriting are etched in the pine wood forever...a little like disco is in my mind. So here we are arriving at almost 8 months in our new home. I guess by some accounts I'm slow to get the decorating done but it is all coming together the way I like it! Did you see what I did there? This post contains affiliate links. If you click and make a purchase, I may earn a small commission but you will not be charged extra. I love that we have old things mixing with new things in this house. Those combinations make it feel like home. Now friends, I dare you to stand up and dance with me! Let's do it! It's really surprising how every once in awhile you will come across a piece that sticks in your mind. They are the best pieces because you had to wait for them so you will absolutely love them for a long time. I remember that song but I'm not sure I remember how to do the bump!! Your new chairs look great, Stacey, they really finish the dining room off perfectly! Your chairs are fabulous! I would not have thought to try them at the dining table but I adore the way they look. I would have been worried that they weren't the right height. So glad they worked out for you. I like them because they are so different from everyone elses. Plus I love a cottagey look. Those chairs are beautiful and I love the contrast with the wood table. Thanks for the fun trip down memory lane. Such fun songs from the past. GREAT song! The chairs look great, good eye!! I love that this theme centered around Disco. I was just listening to a 70’s Sirius radio station playing a little Disco on my way back from seeing our son. Wayfair is the best! Wonderful chairs! What I love the most is the sentiment of the table itself! I do remember that song, but think I probably heard it coming from my teenagers' rooms...yes, they are that old! 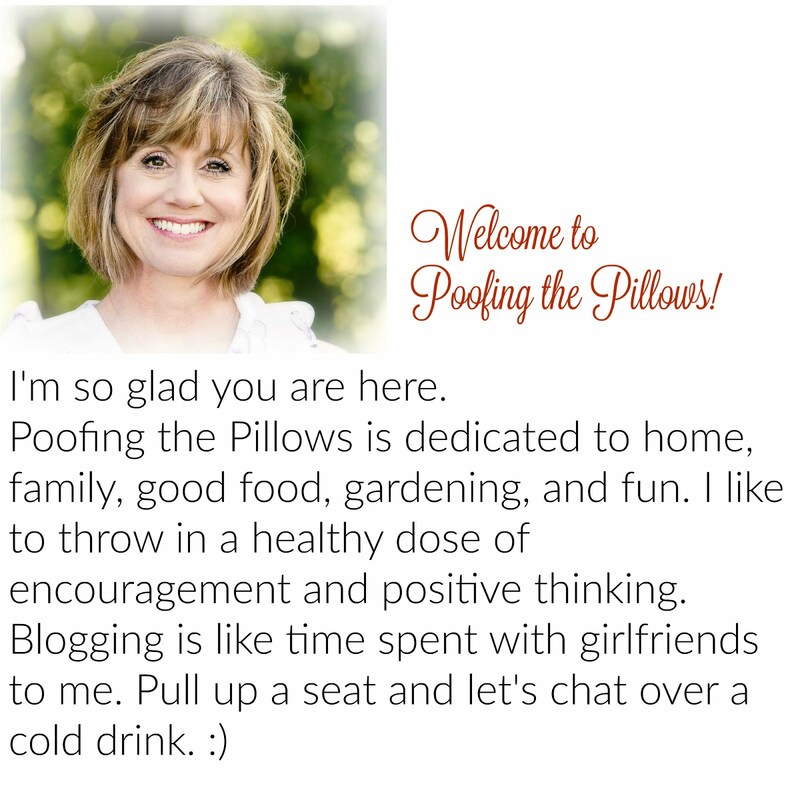 What a totally fun, delightful post! I just love your chairs -- oh, yes, I do. And they look terrific with your pretty table and place setting. And the music rocks! Love it ALL! Silly me, I forgot to tell how much I like your chairs...they look perfect around your table! Fun, fun and cute, cute! Springtime is fun time! Oh, an oldie but goodie! Fondly remember dancing to that song...that's when music was great! And your chairs look just perfect in that space. Well done...aren't you glad you waited? Such a cute post! So many fun memories with those songs! I (almost) won a dance contest to Brick House when I was 15, lol. And disco modeling to KC and the Sunshine Band at Maas Brothers junior year of high school, we were just all that, hahaha!! Love your new chairs!! I did catch it and loved the memories of such great songs!!! The chairs look great and I think they are perfect. 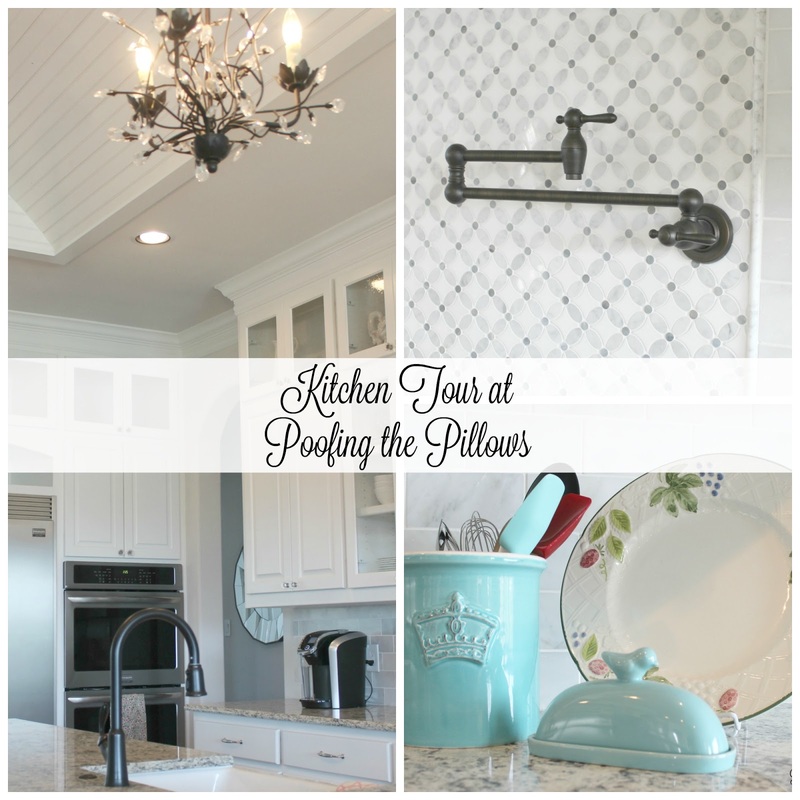 I think slow and steady will bring you just the right items to your new home. Your new chairs are wonderful! Ha! Okay, I'm picturing some disco moves in your kitchen right now. Love this beautiful room, and I know you are LOVING that stunning kitchen. Do you pinch yourself every morning? I met my husband in 1978 and we married in 1979. We went out dancing a lot in those days and I remember!! Love your new chairs. They looks great with your table. That's the way, uh huh uh huh I LIKE IT!! Love, love, love your new chairs! Back in the day, Leo owned a dance club called the Diamond Disco! That music makes me want to hop up and dance, too! ohmygosh, Stacey, this is totally hilarious. I actually had to go to YouTube and be sure of those dance moves. LOVE the chairs! I have too much junk in my space to have those. great post! Stacey, those chairs are fabulous, just the perfect look! Since the Commodores and Lionel Richie are from AL, I have always loved their music. Their smooth sound is a part of the soundtrack of my life. Yes, I dance while driving! Oh my goodness, I'm a Rolling Stones girl, and other rock n roll from the 60's. :-) Don't have a clue as to what the 'bump' is. Love your chairs, they are so right for your new dining space and what wonderful memories with your table. haha Stacey, WHO can resist dancing to Brick House?? 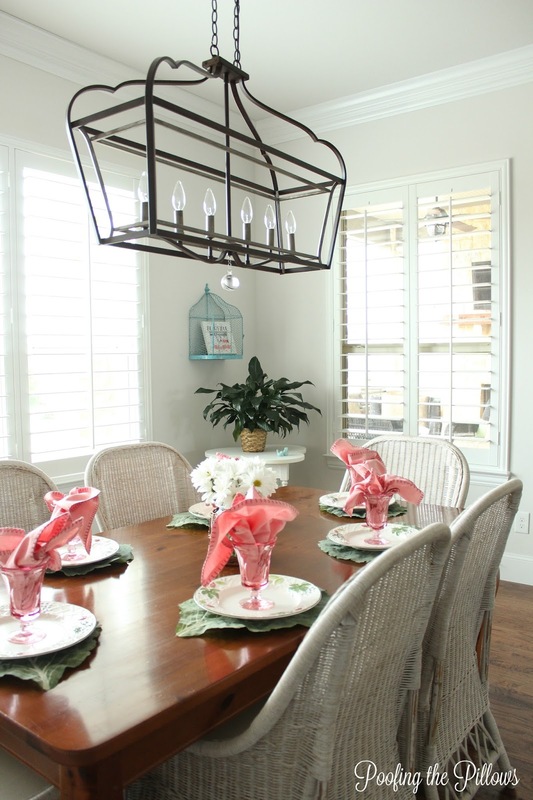 Your chairs look fabulous, love the sentiment attached to your table and that coral pop is awesome! Your new home is so bright and clean! LOL Stacey I love the disco era too. That is when I was single and met Terry. I remember Friday nights going to the disco bars to dance and hang out. Line dances being so popular back then! I love when you can happy dance in the seat of the car too. Love your new chairs they are fabulous. I am glad you got them to go all around your great table. It really looks so great. This way too no one fights over who gets to sit in the comfy end chairs!!!! Have a great week. Stacey I wanted to dance the minute you said "Brick House" ! I love that you kept your table and the chairs are perfect. I'm like you in that I like my home to evolve instead of instantly decorating. Thanks for the memories! Oh yes, the Commodores! Three years ago, my cousin took me to one of their concerts! It was great, front row center! I danced like I was 18! Do you remember the dance 'the bus stop? I have a disco cd that I listen to in the car,I think I have worn part of the seat down car dancing! I love your chairs, they look great with everything. I have always liked that style myself and the "Bump" oh boy that was fun, i tried to show my granddaughter one day and she just laughed. I love the song Brick House but I love your chairs even more!! Enjoy your week, Stacey. Love your new chairs! They look so fresh and inviting with your wood table. Such a cheery tablescape, too. How nice to have music memories of a fun period in your life that peps you up. I remember the Commodores, also. Oh my word, I was dancing with my three-year old grandson to Brick House just a couple of days ago. Love the Commodores and KC and the Sunshine Band still! Your chairs are just perfect. Love this post! Love the chairs. Love the songs (and how about "Can't Get Enough" by Bad Company - another great bump tune, lol). Taking it slow is the best way to love the house you're making, Stacey. Yes, yes, I know the song. It always makes me giggle now. I love the chairs. They are super cute. I wonder if we were singing and dancing to the same song at the same time?! That era is my jam. Love the new chairs and the table looks lovely! The chairs are perfect. I think its cool you are hanging on to the table. Our table is Pottery Barn, 1993. Hard to believe they existed back then. It is so scratched up--I LOVE it! And, yes, take all the time in the world. Stacey, your photo's are amazing. I love how bright and beautiful this room is. Enjoy the rest of your week. Oh I just love that song! That's a good blast from the past! Then there's your chairs! They are just perfect. I can just hear the excitement you feel for finding them. They really look great in your space too! What fun to get something you've dreamed about. I love them! That song brought a lot of memories! :) Love, love your new chairs! They look absolutely beautiful in your dining room. Great choice! I love that song! I used to be a boat model at those shows and I remember them playing that song. The chairs are lovely. So glad you could find them. The dining rooms looks so beautiful Stacey. Enjoy! Love the chairs! And yep, if you continue to think about a certain decor item, it's meant to be. Hi Stacey, oh I used to do the bump and I remember those songs were so much fun to dance to. I love the table and chairs. The table reminds me that spring is on it's way soon. Those chairs were THE right choice! The chairs are gorgeous and look amazing with your table. Awwww....THAT'S the WAY, uh huh, uh huh, I LIKE IT!...uh huh, uh, huh! "She's mighty mighty just lettin it all hang on!" That was my jam and the bump was my dance. Ahh, the good old days.Lovin the chairs and I've never ordered anything from Wayfair but you are tempting me. Thank you for sharing with us this week at Celebrate Your Story and we hope you will join us again next week. Stacey, I knew the name of the song; but couldn't think of how it went. I had Alexia play it for me and it definitely makes you want to dance! I have to dance a little in my car every now and then as well. :) The new chairs are perfect! Mixing old and new is what I love best!! I always love peeking into your home. You have impeccable taste. And Brick House...impossible to not move when that song comes on! I remember that song and always dancing to it!! Great memories!! Your home is just beautiful. Love your new chairs! What a fun post, Stacey! Lucky for me I still get to groove to those old songs in my water aerobics class, and nobody really sees my moves when I'm in the water!! I'm loving your chairs and they look perfect with your table. I know you're loving your forever home. Oh yea, the bump and the Commodores. Funny story, the Commodores were in our town performing at a hotel nightclub (of all places) one weekend. Many of the family went to see them, even my Dad, whose given first name was......wait for it.....Commodore! Even my Dad loved music and dancing, as did our entire family. 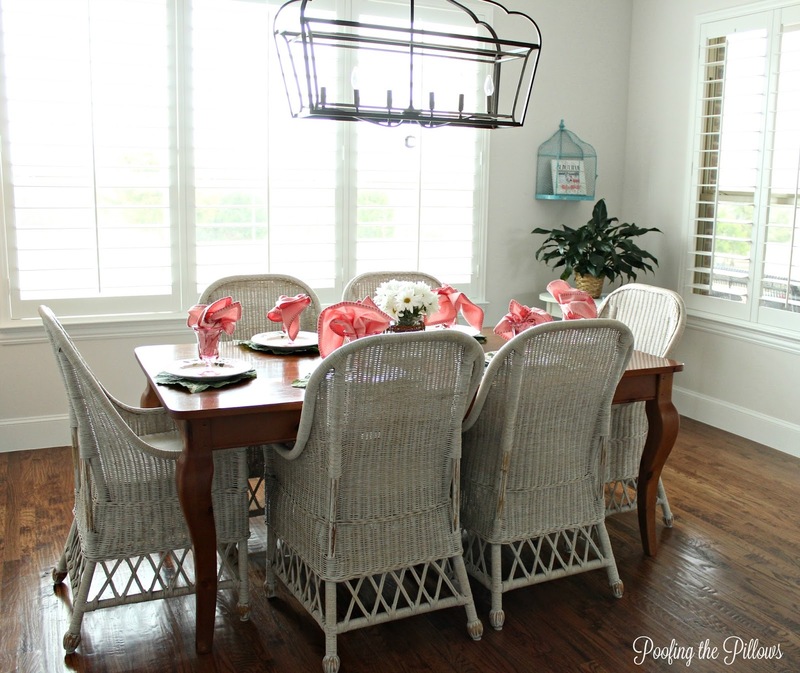 I love mixing old and new, and those chairs looks perfect in your home, Stacey. I remember the Commodores ( went to the concert!) and the Bump. Good times. I love the texture and the contrast that the chairs give your room. It doesn't hurt that they are beautiful too! I know the song and love it, although it's not my generation. My generation was The Beatles, Santana, and Led Zeppelin. You know, make love, not war era. Anyway, the chairs are beautiful and I see why you wanted them. Your dining room looks great!